The other day, I wrote about my gift of roses that I received after my husband’s death. Many people think they were a sign from my him but I believe they were from my mother. Roses had significance for her and she had died just 18 months earlier. I do think he sent me something though. When we decided to move to Arizona, my family threw us a going-away party. They even hired a singer/keyboard player for entertainment. I had sent a letter to everyone explaining why we were leaving and I closed it “And until we meet again, Happy Trails To You”. Those of us of a certain age will recognise that as Roy Rogers theme song. So at the end of the evening, the keyboardist played it and we all sang along. The day Lorenzo died, after the funeral home took his body away and I had finished making flight arrangements for my trip back to New Jersey, my aunt and I went out to dinner. I lived pretty far out in the desert and the closest place to eat was in a shopping area called El Pedregal. We drove there but the restaurant was not open for dinner yet. So we walked around, looking into the different shops. In one, there were all items related to Arizona; Kokopeli wall placks and figurines, chilie pepper and cactus Christmas ornaments, cowboy Santas. My aunt went over to look at the Christmas stuff and I continued to the back of the store. In the corner, on a shelf with a bunch of other things was a snow globe. I went over and picked it up. I’ve loved snow globes sinice I was a little girl. It was kind of touristy but colorful. I turned it over to see if it was a music box as well. Sure enough, the little tell-tale key was there. Usually there is a label saying what song it played. This one had none. So I turned the key out of curiosity and it began to play “Happy Trails”. I almost dropped it. Shaking, I walked up to the cashier. “I want to buy this.” “OK”, he said. “Let me check in the back for one in a box.” He came back a minute later. “That’s the only one we have. I don’t know if I have a box to fit it. Do you still want it?” Of course I bought it. 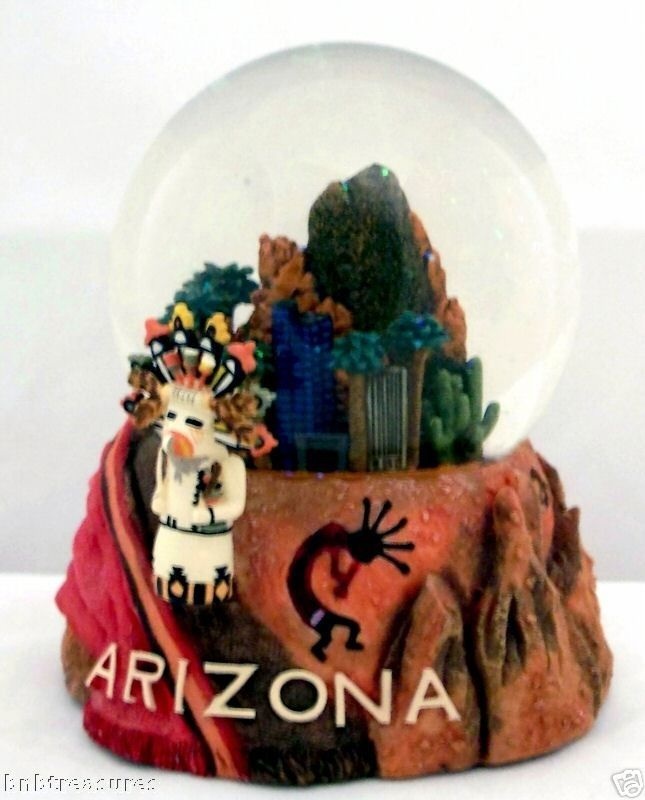 I had it on my mantle for the rest of the years I lived in Arizona and now it is packed away in my basement with the rest of my snow globes. Lorenzo and I had always had a difficult marriage. He was controlling and abusive. When he died, my feelings were conflicted. But isn’t that how feelings are? A mixed up hodge-podge. It took me a long time to sort it all out. I forgave him for many things. And I’ve apologized for things I did to hurt him back. That doesn’t excuse what happened between us. It was wrong. But for that brief moment on November 14, 2000, standing in a store in El Pedregal in Scottsdale Arizona, I knew that Divine Love transcends everything. This entry was posted in Daily Life, Death, Faith, Grief, Love, Marriage, Spirit, Uncategorized. Bookmark the permalink.